It’s a truism that our greatest anxieties are also our most vulnerable points. Having kids is the best example but somewhere in many people’s top 10 will be a lurking concern over cancer. And, human nature being what it is, you can be sure that another lurking hazard is those who would exploit our weaknesses for commercial gain. A recent article in one of the most prestigious cancer journals has highlighted an example that deserves wider publicity. At issue are the relative merits of two methods for the detection of breast cancer – mammography and thermography. Breast cancer screening is currently a topic of some debate in the light of reports that such programmes may be of little or no cost benefit. The standard method is mammography: this uses low energy X-rays to obtain images of tissue within the breast from which abnormalities may be identified. As the controversy reflects, it’s not perfect. 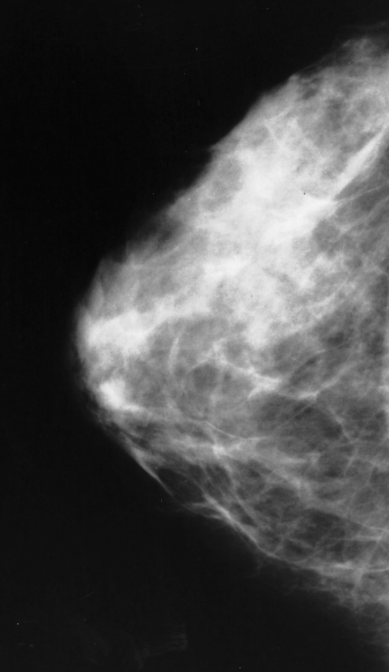 There’s a threshold size below which tumours can’t be detected, there are false positives (abnormal mammograms not due to cancer), tumours that are difficult to spot (because of high tissue density), abnormal growths that get picked up but are not life-threatening – and the subject is exposed to ionizing radiation which itself can promote cancers. Perhaps more helpfully called thermal imaging, this method detects infrared radiation, which increases with temperature so that warmer things stand out from cooler. In effect you get a surface heat map – in animals of skin temperature, which rises as blood flow increases. As growing tumours stimulate the growth of new blood vessels, they can show up in thermograms. Well, it’s sensitivity. A number of studies have concluded that, although thermography is non-invasive and painless, it’s just not sensitive enough to be used as a routine screening test for breast cancer. The US Food and Drug administration (FDA) – responsible for protecting and promoting public health – has this to say: ‘…thermography is not a replacement for screening mammography and should not be used by itself to diagnose breast cancer. The FDA is not aware of any valid scientific data to show that thermographic devices, when used on their own, are an effective screening tool for any medical condition including the early detection of breast cancer or other breast disease’. What upset the authors of the article is that direct-to-consumer advertising is presenting thermography as an effective breast cancer screening method on the basis of misleading information and that this may be damaging if it persuades women to forsake mammography, imperfect though that may be. ‘Misleading’ includes exaggerating the sensitivity of thermography, suggesting that having a mammogram could promote tumour spread (for which there is no evidence that I know of) and the claim that thermography is ‘FDA approved’ (no, you didn’t misread the last paragraph). There’s a place for everything – except for deliberate misrepresentation: cancer’s too difficult and too important for that. And the gold standard for monitoring breast cancer remains the ‘triple test’: physical breast examination, imaging (mammogram, possibly supplemented with ultrasound and/or magnetic resonance imaging) and removal of cells for pathological examination. Lovett, K.M. and Liang, B.A. (2011). Risks of online advertisement of direct-to-consumer thermography for breast cancer screening. Nature Reviews Cancer 11, 827-828. Kontos, M., Wilson, R. & Fentiman, I. (2011). Digital infrared thermal imaging (DITI) of breast of breast lesions: sensitivity and specificity of detection of primary breast cancers. Clin. Radiol. 66, 536–539. 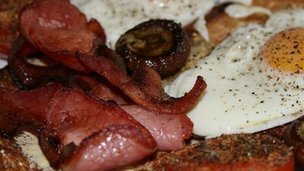 A recent report concluding that if you eat processed meat (bacon, sausages and suchlike) you’re more likely to get cancer in your pancreas has attracted predictably wide media coverage. More surprisingly, the reports I noticed (BBC News, Sky News and Guardian) were fairly reasonable accounts, quoting the main figures, the source of the information (British Journal of Cancer) and one or two ‘expert’ comments thereon. Usually science reporting in the ‘media’ is more feel than fact and appears to be motivated by coming up with eye-catching headlines rather than precise explanations (being precise, there is a Bacon Eaters Warned Of Deadly Cancer Risk in the above – but let’s not be too critical). What such reports almost always fail to mention – and these were no exception – is how devilishly difficult it is to do surveys linking what we eat to what happens to our bodies. One method is to get a group of people with a given disease and ask them what they’ve eaten over the last umpty months/years/decades. You don’t need to be a stats wizard to see the major problem with this! Alternatively, so-called ‘prospective studies’ start with healthy individuals who are followed for exposure to potential factors and subsequent development of disease. Exposed and unexposed sub-groups are compared for disease rates. There are huge problems with these studies too, not the least being that you have no real idea how well the punters stick to the rules – in this case, what they eat. The predictable upshot over many years has been that, apart from fruit and veg (good anti-cancer stuff, as we all know), for pretty well every survey showing something we eat gives us cancer there’s another that says it either has no effect or it’s actually protective. Much easier than actually doing either type of survey is to do what these processed meaters did: put together all the sensible studies you can find (in this case eleven prospective surveys between 1966 and 2011) and see if a clear message emerges. Though not perhaps evident at first sight, this is actually quite a useful thing to do because by lumping all the data together you get a large number of patients and controls and the hope is that, out of the confusion of multiple smaller surveys, clarity will come forth. And, up to a point, it did. The relative risk of pancreatic cancer emerged as 1.19 if you eat 50 g of processed meat every day (it would be 1.00 if you take The World Cancer Research Fund’s advice and avoid the stuff altogether). And, of course, the risk goes up the more of it you eat. So where does that leave us and how scared should we be by the scary headline? Have I been unwittingly irresponsible indulging a life-long taste for bacon, sausages and such like? Mmm…bacon…Mmm…sausages. (Sorry – Homeric moment there). Well, something like a 20% risk increase may be significant but it isn’t huge. Then 50 g is a fair wodge of bacon or whatever to eat every day. What’s more, the authors admitted that they’d had to make a few assumptions about just how much processed meat people actually had eaten in the various studies they collated, because some only listed ‘servings’ or ‘times’. Then there’s the question of how is the deed done if processed meat does drive cancer? The study authors noted that the most likely culprit is preservatives commonly added to such food – because these can indirectly cause DNA mutations. Having just salivated round the wondrous display of meats, hams, bacons, sausages etc. in my local Farm Shop (Gog Magog Hills: don’t miss it if you’re anywhere near Cambridge) I note than none of their stuff contains additives or preservatives. Whew!! Larsson, S.C. and Wolk, A. (2012). Red and processed meat consumption and risk of pancreatic cancer: meta-analysis of prospective studies. British Journal of Cancer advance online publication 12 January 2012; doi: 10.1038/bjc.2011.585.